Months after security researchers released a report explaining that a hacker could use Snapchat to obtain user phone numbers, the app’s creators have responded by stating that they have introduced new security measures and that there is nothing to worry about. Gibson Security, the group behind the initial exploit claim, was ignored by Snapchat until recently when it released a full report detailing how a hacker could actually use Snapchat’s friend-finding feature to obtain phone numbers. With the exploit, a hacker could reportedly take hold of thousands of US phone numbers within a matter of minutes, something that Snapchat is far from worried about according to its most recent blog post. Snapchat, and other apps which allow users to find their friends through a phone’s address book, have all come under fire for this type of discovery mechanism. 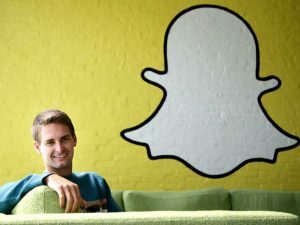 By allowing users to find their friends with the help of a smartphone’s built-in address book, Snapchat suddenly has access to phone numbers which is something that has concerned security researchers for quite some time. Although Snapchat does not seem to be worried by Gibson’s report, it has added extra security features in order to please users who were startled by the thought of strangers have access to their private phone numbers. The messaging service has seemingly been annoyed by Gibson’s researchers claiming that this is a real issue, and that annoyance could be seen in Snapchat’s blog post. Out of all the security researchers that Snapchat has gotten along with in the past, it seems safe to say that Gibson Security is not a group that the service is fond of.